All of my cases are special to me and it's difficult to choose just one to talk about, but one that stands out right now is where I had the pleasure of representing an elderly woman who took a cruise with her husband to celebrate their 58th wedding anniversary. Being worried that their insurance might not cover them out of the United States, they prudently purchased special travel insurance to cover any medical costs in the event of a medical emergency while out of the country. While at sea, her husband became extremely ill and had to be taken by helicopter ambulance to the nearest hospital. The air ambulance bill alone was over $20,000. They incurred many medical bills while numerous doctors tried to save her husband. Unfortunately, her husband passed away leaving her with an enormous medical bill. When she submitted these bills to the insurance company, of course they denied the claim for every possible reason -- except a legitimate one. The insurance company fought us every step of the way and even tried to intimidate our client by taking the depositions of many of her friends and neighbors. Just before trial, however, we got the insurer to pay all the medical bills, our attorney fees and a large amount of compensatory damages. Before becoming an attorney, I was an insurance adjuster. When I became an attorney, I worked in a defense firm representing insurance companies and civil defendants. Although I often won my cases, I didn't always feel good about winning. I saw many truly-injured plaintiffs lose or settle for cheap simply because their lawyers didn't know how to try a case. I decided to make up for my past and now I represent mostly plaintiffs against insurance companies, businesses and other tortfeasors. I sleep much better now. I am active in the local community and often speak at seminars. I have been a column editor for Trial Bar News. I am on the board of directors of the Consumer Attorneys of San Diego, a member of Consumer Attorneys of California, the American Association for Justice, and the San Diego County Bar Association. 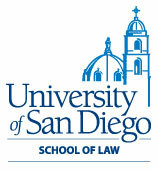 I also teach trial skills to younger lawyers as a workshop leader in the San Diego Inn of Court. A few years ago, I retired from the Navy Reserve after proudly serving our country for 24 years as a Naval Intelligence Officer. My last duty was as the Deputy Reserve Intelligence Area Coordinator for Systems which kept me on the cutting edge of information technology, systems, and security and which I have been able to implement into my law practice. I have found technology to be a great equalizer. I have been blessed with a wonderful life. I enjoy spending time with my son and daughter as well as my hobbies of music, cooking, sailing and travel. It amazes me that I have been lucky enough to actually receive awards for something that I truly love to do. 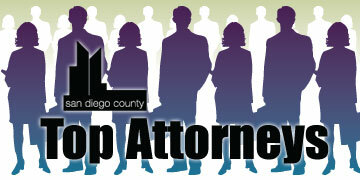 I am a recipient of the Consumer Attorneys of San Diego President’s Award. I have been previously selected as a San Diego Top Attorney in both the Insurance and Personal Injury categories and have been selected for inclusion in Super Lawyers.